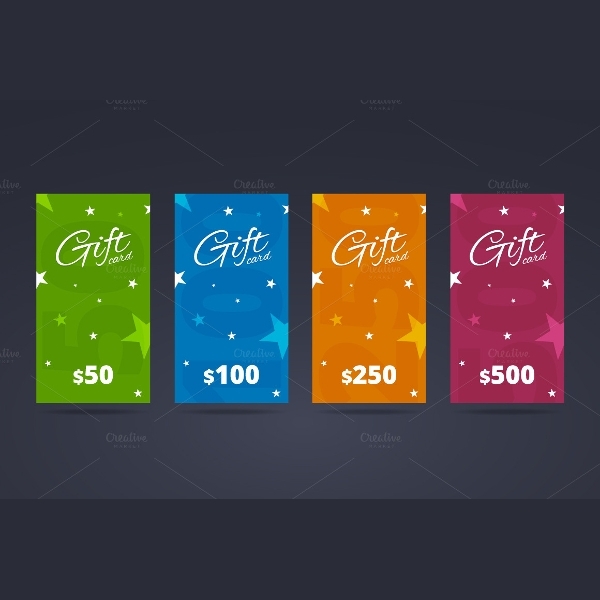 Gift certificates or gift cards have made the business of gifting near and dear ones on several occasions a lot easier. A gift card is a very sought after and flexible gift item, which can be used by different companies to promote brand awareness and also to create an interest in their products. 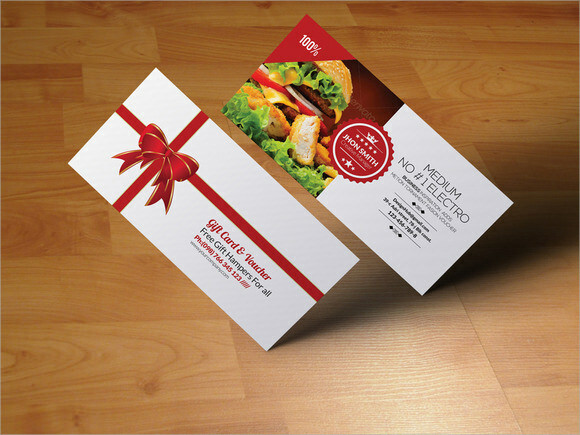 Here are some gift card sample templates which you can customize to suit the need of your own company. You may check Sample Gift Card Templates. 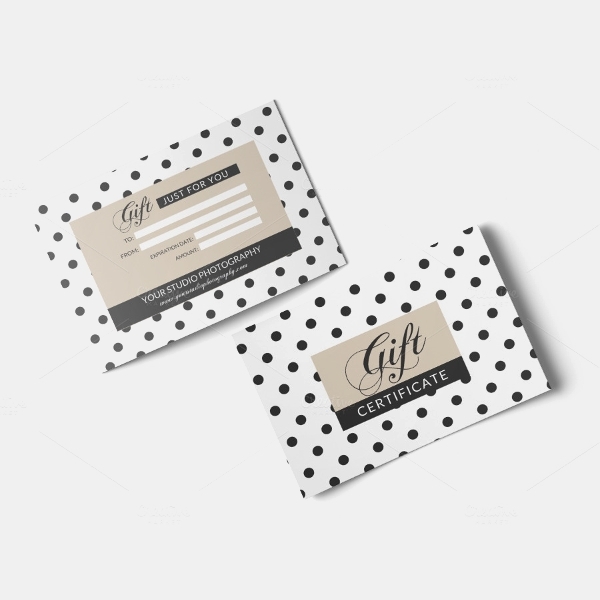 This sample gift certificate template comes in 8.5”x 4 dimension and is available in two different colors. The voucher supports 300 DPI and CYMK colors. 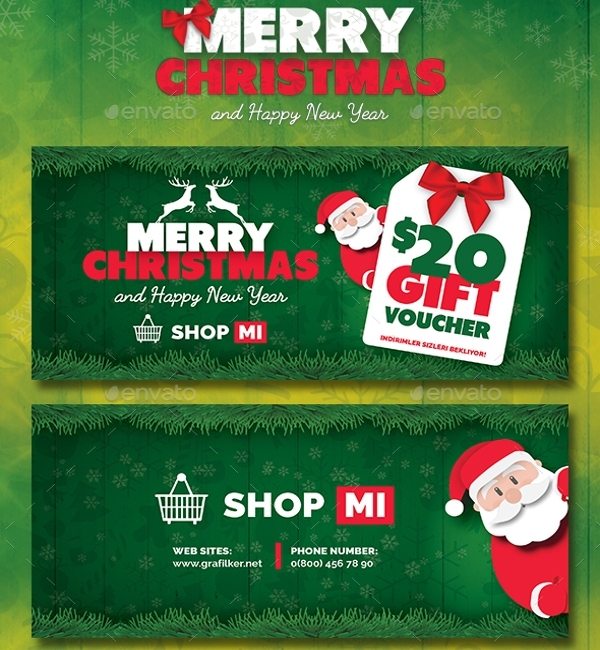 The voucher is available in highly organized layers and offers customers a great amount of ease in modifying and customizing the pictures, background, fonts and color scheme. 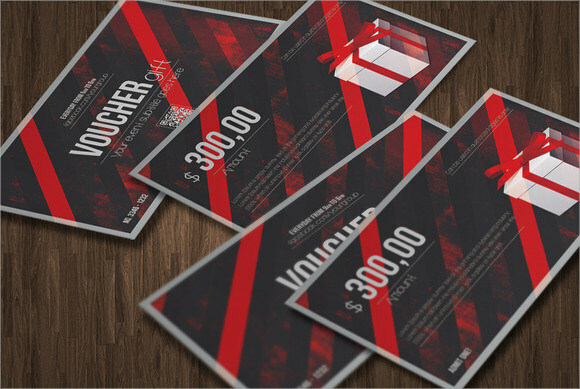 The voucher given in this sample of Gift Card Template Photoshop edition comes in two color scheme, namely black and red and has an extremely simple design which can be used for any brand or product line. 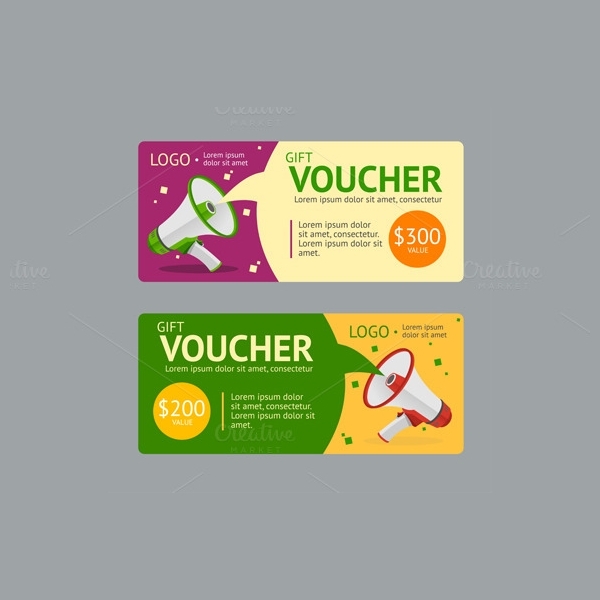 The voucher is available in PSD file format and each element within the voucher is customizable completely. 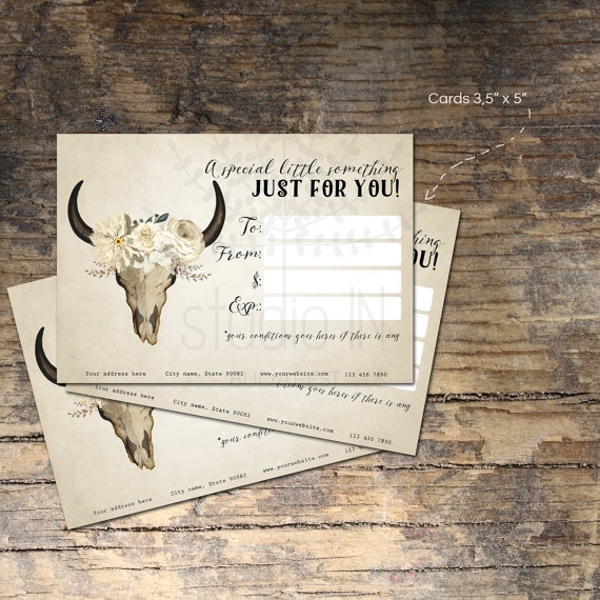 This example of gift card template Illustrator comes in 5X7 inch dimension and has a very simple design. The card is designed in a white background with pink dots and ribbon. There is a place in the centre of the card to affix an image. The inside section of the card has provision for writing down the name and various other details of the recipient along with a custom signature and details of the owner. 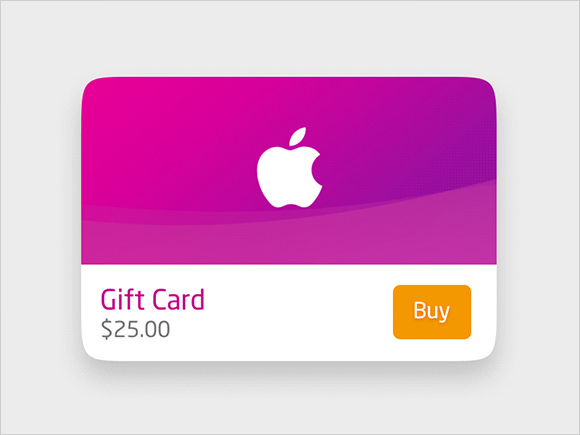 The sample design in this example of gift card size template uses an Apple gift card. 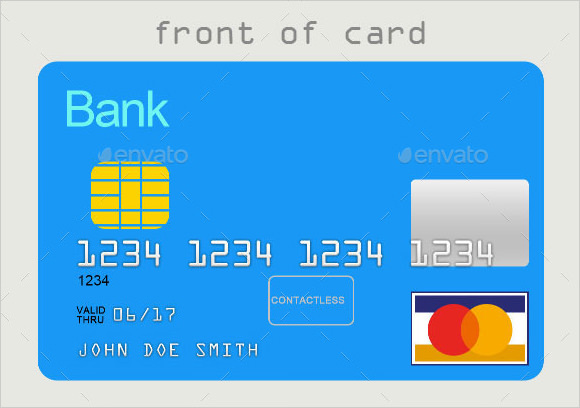 The card has a simple design where the brand logo of the company appears on a purple background and the card value is specified in the bottom strip. On the other side of the card, the name and address of the recipient is given along and a space dedicated for writing personalized messages. 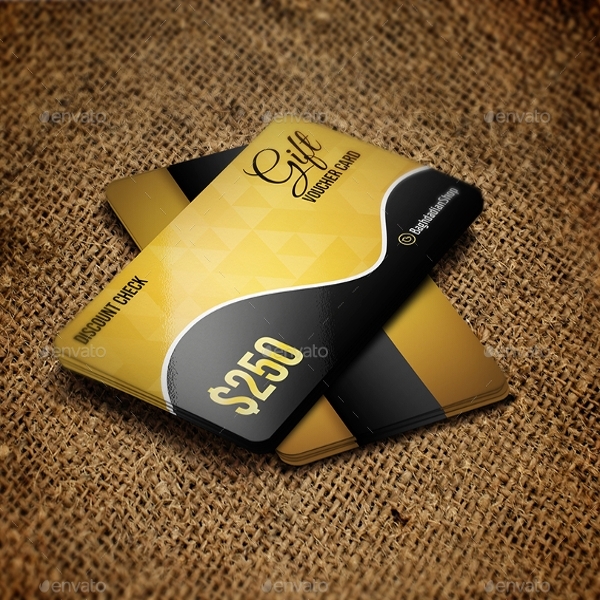 This sample of gift card template download comes in the size of any standardized credit card. The card has a neon blue and red background. 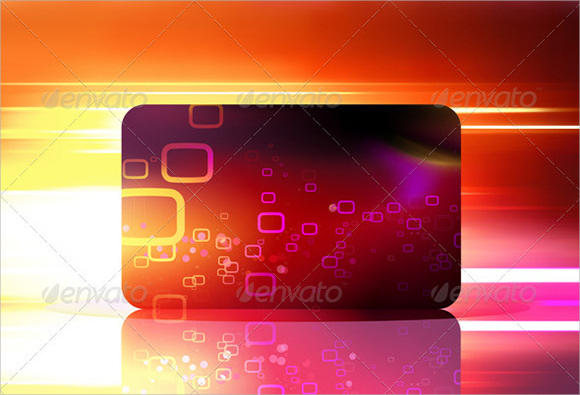 The background theme consists of squares and hemispheres printed on the neon background. The sample is completely customizable and can be used by corporate or individual clients equally. 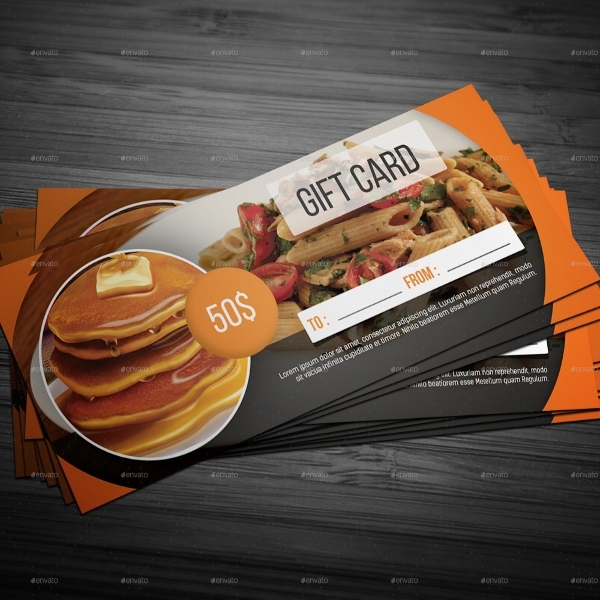 This sample of restaurant gift card template has a very sophisticated and elegant look. 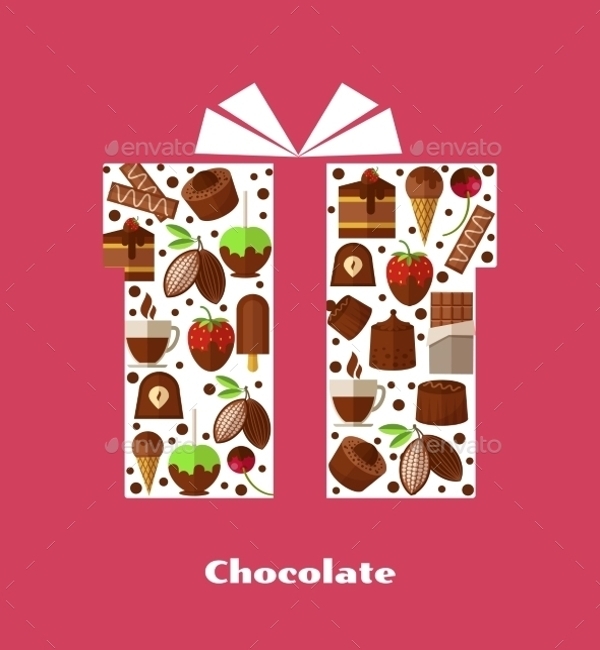 The card is designed on a white background with an image of a food item on the left hand panel. The name of the recipient is printed on the middle of the card along with the details of the meal course on the inside leaflet. 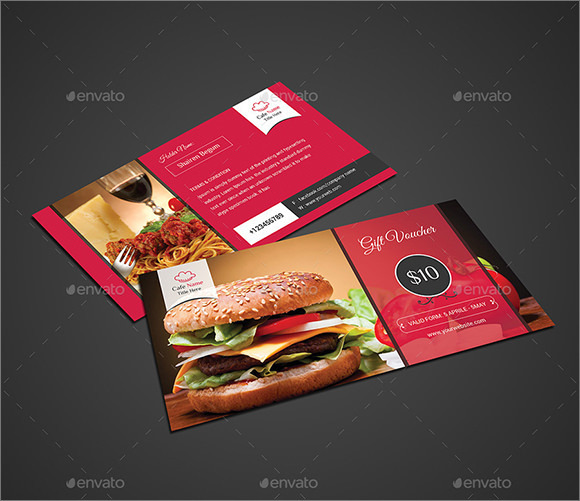 The leaflet consists of one PSD file and comes in 4X9 inch dimension. 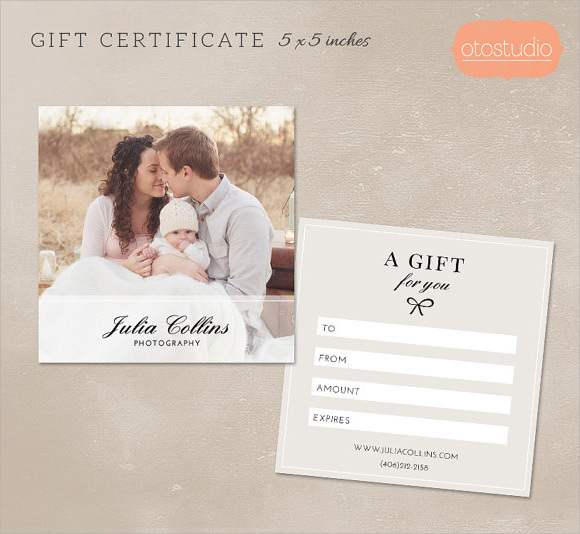 This photography gift card template is a perfect weeding gift for anew couple or for a family on any special occasion. The template is pretty simple and comes in 5X5 inch dimension. The name of the photographer and her company along with a photo is given on the left hand side of the card while the right hand side is reserved for writing the name of the recipient and the gift amount. 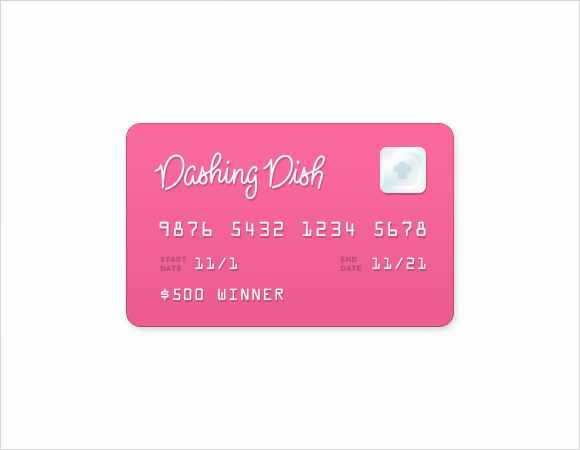 The dashing dish gift card template is a good example of gift cards which has a layout of a credit card. The card is designed in bright pink color and has the name of the recipient engraved on it. The gift card has a fake card number and expiry date. The amount of the gift card is written on the bottom of the card. The entire getup is very simple, eye catching and shows a lot of innovation. This sample of plastic gift card sample is a gift card that is designed to be used just like a credit card with a limited credit amount. The front of the card contains all relevant details of the card holder along with a chip set. On the opposite side there is a magnetic strip and signature panel, along with all the important information and phone numbers. This sample of Christmas gift card template is a very cute looking handmade sample measuring around 3X2 inch in total space. The card contains the image of two owls in two different colors. The card is decorated with simple items like ribbons, buttons and beads which make it a wonderful Christmas gift for anyone within or outside the family. The above given gift card samples cater to a wide variety of occasions, people and business demands. These examples would help to understand the demand of the customers and customize a gift card that would not only promote your business but also leave behind a lasting impression in the minds and hearts of your customers.